If you recently graduated college and are finding yourself seeking the easiest US states to pay off student loan debt, you’re not alone. According to recent statistics aggregating the collective debt of over 44 million borrowers, Americans owe more than $1.4 trillion in student loans. That eye-popping figure is more than all U.S. credit card debt combined by nearly $620 billion. More specifically, someone that graduated in the class of 2016 owes an average of $37,172 in loans–a figure that has jolted up by six percent from the previous year’s figures. These stats, among others, make finding an affordable postgraduate lifestyle of paramount importance to those fresh out of college. Let’s take a more in-depth look at this student loan debt epidemic. 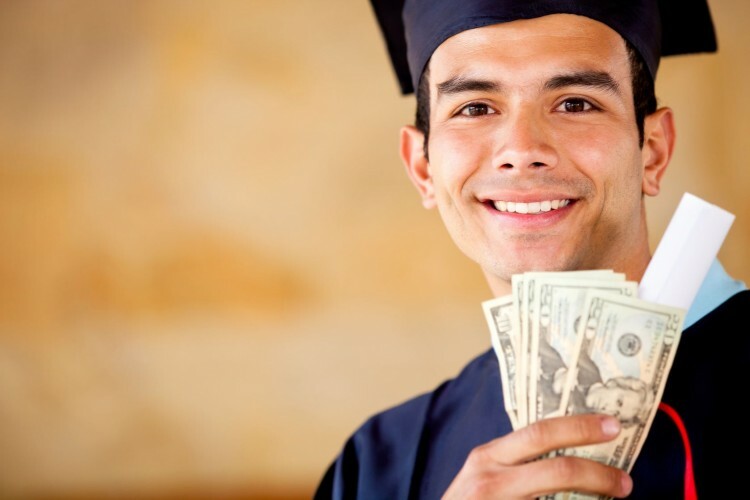 On average, graduates make payments of about $350 per month in the lengthy process that is student loan repayment. This figure, though, may skew the picture slightly, as median monthly student loan payments are more in the neighborhood of $200, indicating that higher-than-average debts may be warping the overall degree to which graduates are in debt. Even with these markedly lower monthly student loan figures, however, many still struggle to make these payments, with student loan delinquency rates–figures tracking those over 90 days delinquent or in default–above 11% at last glance. It gets worse. Those looking for relief are going to be pretty hard-pressed in the way of finding it. Of the above-cited 44 billion Americans in student loan debt, just over 550,000 have one or more approved public service loan forgiveness (PSLF) employment certification forms. Put plainly, for the majority of debtors, if you’ve got outstanding loans, you’ve gotta pay them off yourself. Of the near trillion and a half dollars in outstanding student loans, nearly 950 billion of them take the form of direct loans, taken out by 31.5 million borrowers, while $335.2 billion dollars in the form of Federal Family Education Loans (FFEL) are currently owed by 16.4 million borrowers. These loans run the gamut, ranging from Stafford combined loans–the most popular, with 32.6 million recipients and $706.2 billion in outstanding debt–to Grad PLUS loans, which are only used by 1.1 million borrowers and account for a “mere” 53 billion dollars in debts. Though nearly $500 billion of outstanding student loans are currently in repayment by some 15.7 million borrowers, over $320 billion of loan payments are actively going unpaid, in statuses ranging from deferment and forbearance to grace periods or default. As far as payment plans are concerned, there is some good news in the sense that over 13 million borrowers are on track to pay off their loans within 10 years, as opposed to the less than 2 million that are on long-term plans. Another $200 billion of outstanding loan payment plans are made up of income-dependent schemes, in which 5.5 million borrowers are enrolled. This fact–many loan payback plans are dependent upon how much a borrower earns–makes selecting the right state in which to live as a postgraduate even more pertinent. The compensation provided to employees in certain states far surpasses that seen in other states. By the same token, cost of living can’t be ignored in the push-pull equation that dictates the likelihood of a postgraduate not drowning to death in the eyeball-level debt in which they so frequently find themselves after college. In the interest of gauging these two factors–how much you make versus how much you pay–and how they figure into a person’s ability to pay back student loans, researchers measured this data for 49 of 50 states (sorry North Dakota) as a means of determining student loan affordability by state. “Affordability,” so that we’re clear, is defined as loan payments “equal to 10% or less of an individual’s monthly disposable income.” And–in the interest of being really clear–disposable income is the money left over after you finish paying tithes to Uncle Sam. After researchers found the average disposable income using wage data from each state, they compared that figure to normal monthly debt payments in the year 2014 (using average, not median), based on a 10-year repayment plan with 4% interest rolled in. What resulted from this was an economic snapshot of life in each state, and an eye-opening glimpse into viable and not-so-viable options for future graduates. Taking the highest-ranking states with respect to affordability, we’ve compiled a list of the 7 easiest states to pay off student loan debt. If, however, you’re determined to live in whatever state you damned well please, regardless of cost of living, perhaps this list of the easiest and best-paying jobs in the world might serve as a good starting point in your quest. Whatever your goals, take a gander at this list of states where the livin’ is easy for student loan borrowers and PUT THE SCALPEL DOWN as you do so. Nobody’s selling their kidneys on the black market today. Now, let’s see our list of easiest US states to pay off student loan debt.